The Japanese are the undisputed pioneers in glass coating technology, and thanks to KAMIKAZE, we now have a brand new coating technology and complete maintenance system that sets the (very high) standards in the coating world. Up until now, detailers and detailing enthusiasts have been forced to use high solvent-based coatings…many of which won’t pass VOC regulations, are highly flammable, and the heavy chemical smell just makes you believe that it can’t be good for you. Just watching the manufacturer’s videos where the technician is using a mask or respirator to apply the product is a good indication of what’s in the bottle! But with ISM COAT, it is non-solvent, VOC free, and non-flammable. 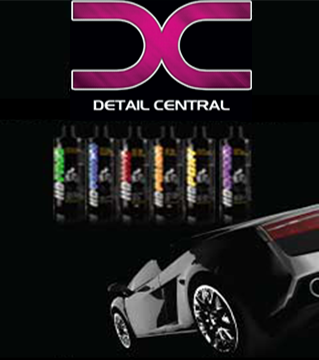 This is a big selling point in itself for the detailing industry! Not only is ISM COAT a much safer and more responsible product, it also excels in its properties as a coating. First and foremost, it is easy to apply and remove. Many coatings on the market are very difficult to apply and remove, and the manufacturers try to hide it in the name of “hardness” or “durability”. A coating doesn’t have to be difficult to apply and / or remove to be good! Secondly, it is a great base layer coating that is strong, durable, and more resistant to water spotting than traditional glass coatings (a weakness inherent in the formula). It can be used by itself on both paint and plastic trim, or it can be a part of the complete system with using KAMIKAZE OVER COAT as the sacrificial layer. On paint, it produces a deep rich gloss like a boutique carnauba wax. Regardless of the colour of the car, ISM COAT dramatically improves the looks! On black plastic trim (or items like windshield wiper arms), it will fully restore it to a deep original black, and protect it for a very long time! Just one formula works for both applications. As for durability, a proper application can last a realistic 24-36 months. KAMIKAZE doesn’t over-hype durability and hardness claims like so many other manufacturers do…they just produce a fantastic coating that will look great and last a long time. Finally, ISM COAT provides strong water-repellent properties like a fine wax. Let’s face it…everybody loves to see fine water beading or water droplets that fly off the car when driving, and ISM COAT provides just that. And for those who want the craziest water beading available, we recommend maintaining ISM COAT with Kamikaze’s OVER COAT (sacrificial layer). Applied on top of 2x Miyabi on red paint. Adds considerable richness to the look and noticeable darkening when applied. Tricker to wipe off than Miyabi but no harder than a traditional wax. Great product and the finish looks amazing! What an absolutely brilliant product! Easy to apply and remove and the finish is outstanding! Does evwrything in the title description but more! The gloss, ease of application and removal make this one of the best coatings around.